Why do not you check by scoring a piano absolute pitch? It will help you to have perfect pitch through playing the game. You can see where you stand in the world ranking. If you have confidence in your perfect pitch, try this game. You can train your ear through the game and be the best singer at karaoke. Unlike other, similar apps, even beginners can easily play it. 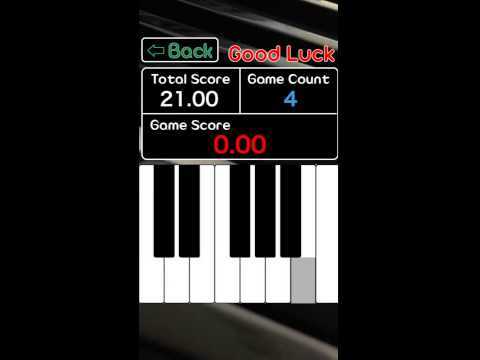 Use the app as warm up exercises before playing the piano. You can practice transcribing music by ear. Testing your perfect pitch is easy so compare the result with your friends. It becomes a game of the sound of the white keys. Three of sound will be in order. White keys, you will hear the sound of both the black keys. Five of sound will be in order. Measure your ear for musik. And practice.